The primary location of ARIEL Congregation is on East Graves Avenue in Orange City, Florida. 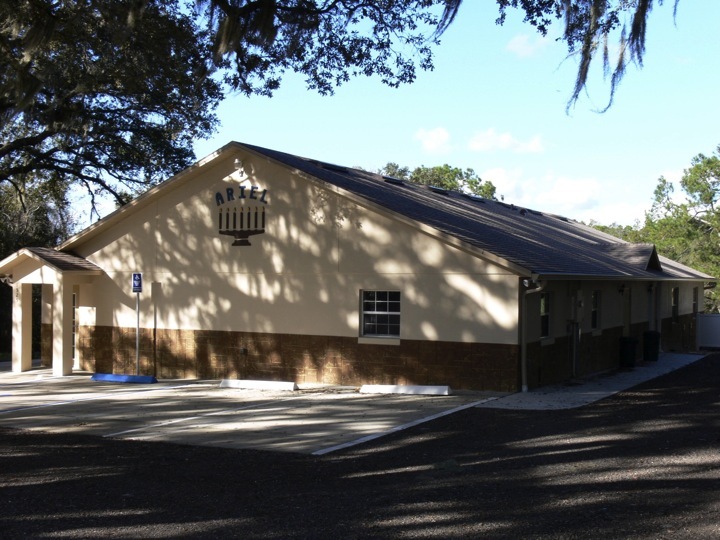 Having recently expanded our facilities in 2012, the sanctuary comfortably seats about 100 people, with room for dancing, a kitchen and fellowship hall, two classrooms and three restrooms. Additional tables for dining are set up on an outside patio, and there is a large area of mowed land in the back where children play and tents are set up for camping during the Feast of Sukkot.